crinklynose.com: 1 hour worth of pumping! You are a great momma. 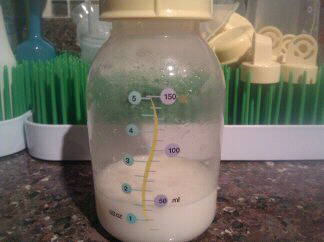 Breastmilk is much better for the newborn baby.